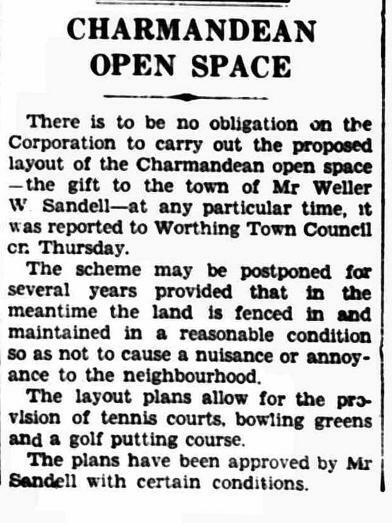 The Charmandean Open Space, often referred to as the 'Open Space', or the 'secret park', was gifted by Mr Weller Sandell of Charmandean building firm Frank Sandell & Sons to the Worthing Borough Council in 1937 for recreational use, with the aim of providing a space which was not for development. This was one of his last actions as builder, and it was reported to be a place where the council could develop it for 'tennis and bowls'. 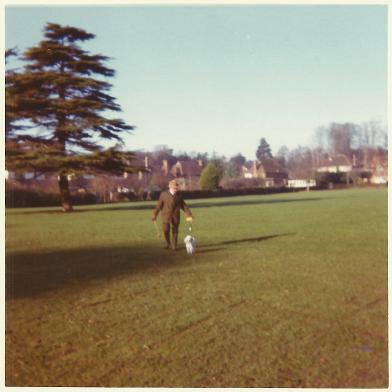 However, despite this gift to the town, over the years this open space hasn`t always been the green space we all know today as a lovely place to stroll and walk the dogs, but has had a lot of differences of opinion as this story shows. March 1938, this article airs some of the concerns from the generous Mr Weller Sandell, who had good intentions, however the council at the time seemed to have other ideas. May 1938, the scheme was put on hold. In November 1944, it was Mr Weller Sandell`s Golden Wedding Anniversary. By this time, he had built some of the famous schools in the country, and had a life-long interest in sport. He resided in some of the houses his company had built in Charmandean, including First and Second Avenues. 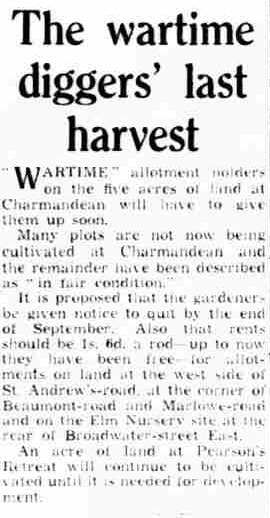 During the war, in November 1941, the council approved ploughing of the Open Space as part of the 'Dig for Victory' campaign, as this article shows. 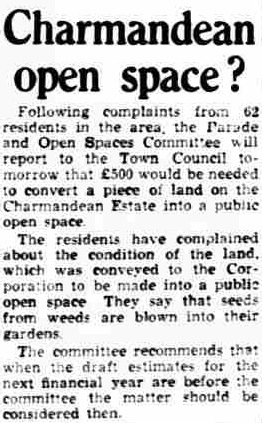 After the war, it seems the council left the Open Space to grow wild, as in August 1956 a petition was received from the residents of Charmandean, protesting about the condition of the land. Following the residents' petition, this article from December 1956 suggests action was to be taken soon to convert the Open Space into the area we know today. 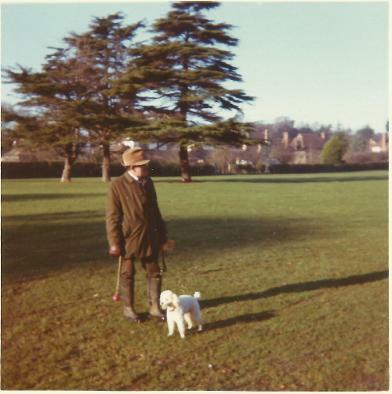 It would be wrong to close off this story without a happy ending; our research mean`t we have liaised with Mr Weller Sandell's family and they kindly provided us with these photos of Mr Sandell walking his dog in the Charmandean Open Space, the area his family donated to the council for Worthing to enjoy. Many thanks to Mr Sandell's family for allowing us to share this.